Wild Things! 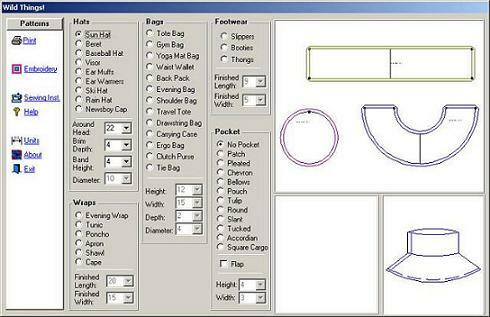 is a fully functional FREE software program for drafting patterns for hats, bags, wraps, and footwear. All of the patterns in Wild Things print to the dimensions you specify. 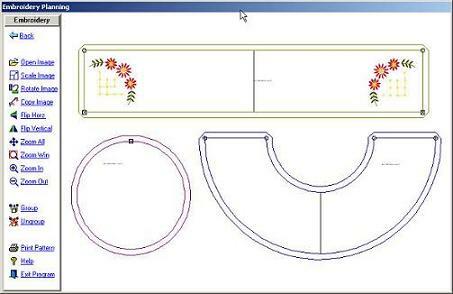 It even has embroidery design planning tools to aid you in creating unique accessories for yourself and others. 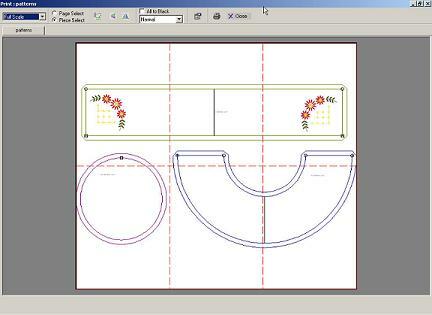 You can specify the dimensions for each item to draft accessories for your needs. Wild Things! comes complete with a Help file to aid you in using the new tools as well as sewing instructions for each and every style that drafts drafts. website and is not supported through telephone technical support staff.